I love to eat. I love to cook. I think about food all the time. No, I obsess over it. What's for breakfast? What's for lunch? What's for dinner? These are questions that are running through my mind at most times of the day. 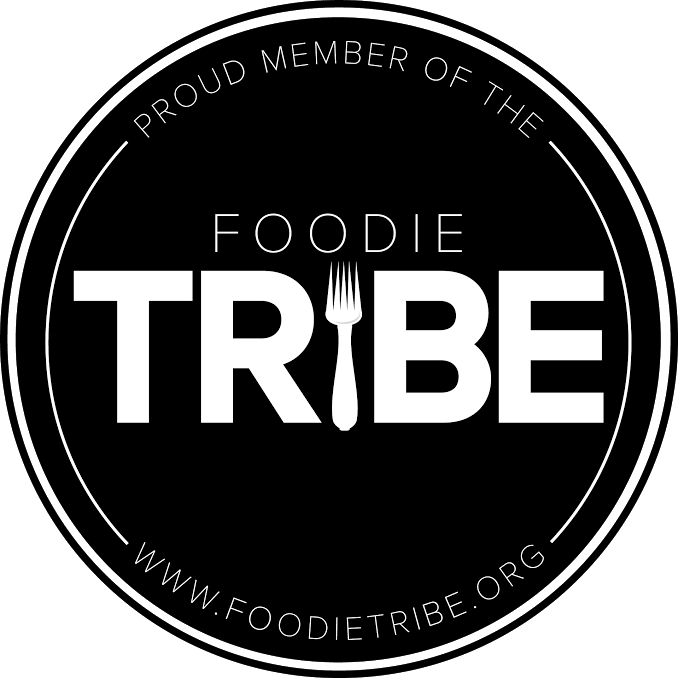 I talk about food on my knitting blog. I even started a food-related thread on a TV show forum that I frequent. One of my favorite Web sites is egullet.com, and I must admit that Steven Shaw (a.k.a. "Fat Guy") is one of my heros. I figured it was high time that I start my own food blog. My first installment on the world of food starts in China. More precisely, in Hong Kong: Jesse Wong's Hong Kong, a Chinese restaurant in the hectic burg of Columbia, Maryland. Today Neal and I set out for only our second dim sum experience without the accompaniment of native Chinese speakers. 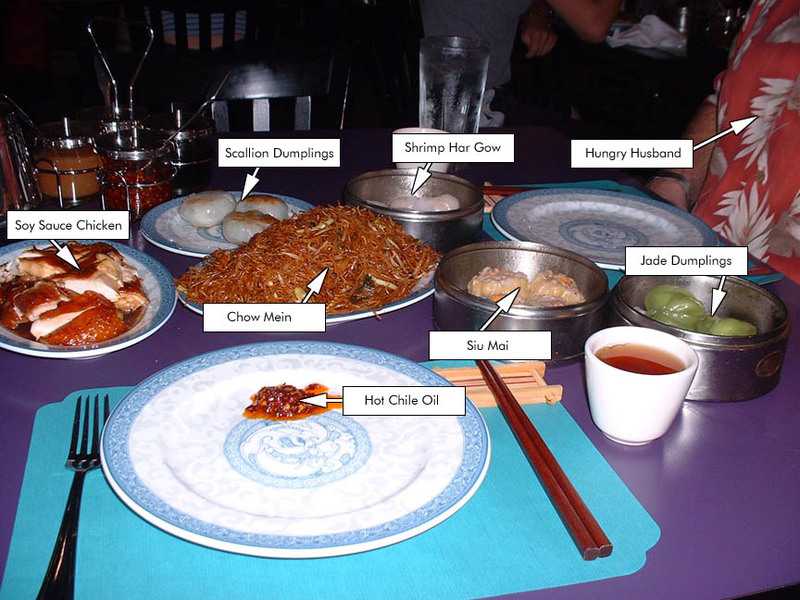 I've been eating dim sum (Chinese for "a little bit of heart") since I was in my mid-20s. 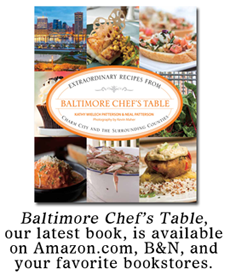 Back then the only place to find dim sum was a now-forgotten restaurant in glamorous and exciting Glen Burnie, MD. There, dim sum consisted mainly of an assortment of dumplings stuffed with various things, mostly shrimp and pork. There were few other delicacies to speak of, but what they had was fried, and fried is good. Right? We later found a even better place with a great variety of goodies but even farther away from home, in Gaithersburg. New Fortune is huge, noisy, and delectable. They have platters of meats (roast duck) and vegetables (Chinese broccoli in oyster sauce), as well as the usual dumplings and body parts. There was even a dessert cart full of shiny, jiggly, gelatin-based, super-sweet sweets in garish colors. The best time to go is for Chinese New Year, when they feature a raucously loud Lion dance and martial arts demos. Over the years, I've developed a list of favorites, items that are "must-haves" on trips to the local dim sum palace. 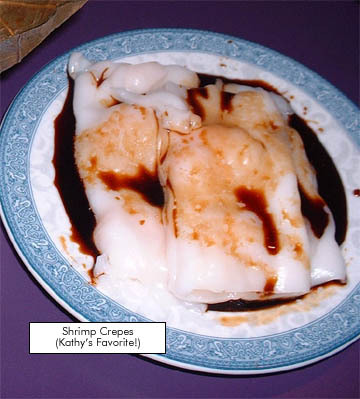 Shrimp crepes, cheung fun are number one on my list - slippery, pure-white tubes of glutinous-textured noodle filled with large shrimp and topped with a sweet soy sauce. 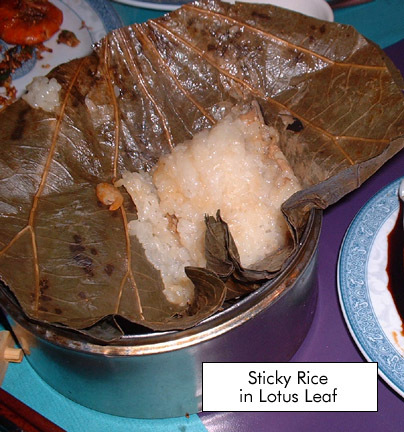 Sticky Rice in Lotus Leaf - sticky rice filled with dried shrimps and chinese sausage, wrapped in aromatic lotus leaves. The taste is slightly medicinal, slightly fishy, very comfort food. Hom Sui Gok - deep-fried, football-shaped, slightly sweetened glutinous rice flour balls with a wonderfully chewy texture, encasing a filling of ground pork, green onion, and minced shrimp. Pork Humbow - a baked or steamed bun filled with chopped bbq pork. I prefer the baked ones, as a steamed one that has been sitting around for too long takes on the texture of damp terrycloth dishtowels. 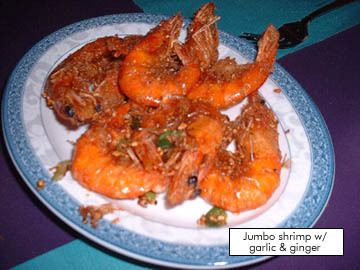 Fried whole (head-on) shrimp with ginger and scallions - Crisp. Hot. Delicious! I take the heads off but eat the legs and shell and sometimes the tail too. Here are a few photos from today's dim sum adventure. Click on them to see more detail! The place was full when we got there, and we got seated in what must be the wastelands of Jesse Wong's despite being directly in front of the kitchen door. After mugging a few of the cart ladies, here's what we started out with. The "Jade Dumplings" were filled with shrimp pieces and had a distinctive cilantro flavor. The chow mein was what I assume to be "real" chow mein - skinny fried noodles with bits of scallions and bean sprouts. Very plain but very tasty. The Soy Sauce Chicken was, as all meats are at dim sum, served cold. The meat was very tender and had a slight flavor of five spice powder. The scallion dumplings had a doughy wrapper and were filled with chopped green onions. They get sizzled on the same little portable grill as turnip cakes. By the time the cart with the shrimp comes around, they are pretty cold, but I managed to snag a plate hot from the fryer. These were heavenly! The shells were crisp and the meat perfectly cooked. They were slightly salty and a tad garlicky. My plate soon became a dumping ground for discarded shrimp heads and tails. 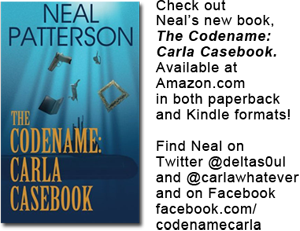 Neal tried one with the head still on, proclaimed it "mushy and fishier." Mmmm! Shrimp brains! I'm not particularly fond of their little black eyeballs staring at me accusingly. So much food (we got offered congee--a rice gruel, tripe, several varieties of tofu skins, stuffed tofu and eggplant, myriad other dumplings, beef, jellyfish, and chicken feet) but where the heck were the shrimp crepes?? I spotted a guy come out of the kitchen with the telltale bottle of sweet soy on a tray with stacks of covered plates and managed to flag him down. Here they are - my all-time favorite dim sum yummy! Neal doesn't like them, it's a textural thing, so I got them all to myself. We usually skip dessert, although sometimes I'll give in to the mango pudding (almond flavored milky gelatin dessert served with mango bits and topped with canned fruit cocktail). Today, however, we tried the fruit tartlets. I had never seen a Western-style dessert here in the past, but there they were, three of them, each about 1 1/2" across. Tiny tart shells filled with a spoonful of pastry cream and topped with kiwi, half a strawberry, and a blackberry. Yum. Sorry - we ate them before I thought to take out the camera again. Were we not going to the Mall afterwards, we would have ordered more food and then taken home a doggie bag. As it was, we ate just about everything on the table, except the condiment caddy. No, we have no plans to eat dinner tonight. I hope you enjoyed this brief tour. Please leave a comment!